You walk down our driveway about 200 ft till you hit beach sand. Huge Private Parking Lot with PLENTY of parking spaces!! 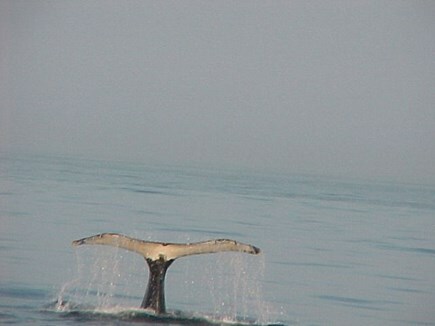 Take a whalewatching trip & meet some very friendly whales! PRICE DOES NOT INCLUDE TOTAL TAXES OF 14.45% WHICH IS THE NEWLY PASSED MASS. SHORT TERM RENTAL TAX!! 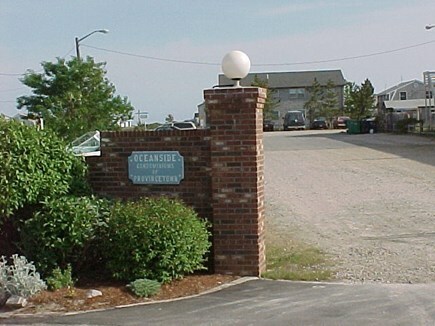 Nicely located 2 bedroom condo on first floor of small condo association 200 feet from our own privately accessed beach. 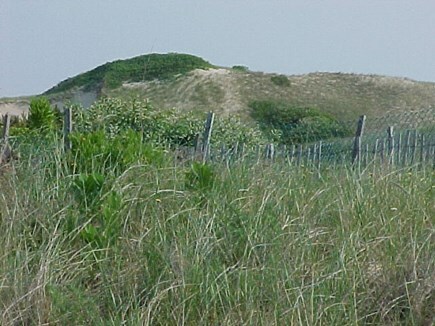 View of the Provincetown Monument and beach dunes. Great lobster, whale watching and 3 world-renowned beaches within a 10 minute ride. Public shuttle bus for short trips to unique Provincetown beaches, shopping and gourmet restaurants. There are 2 Queen beds and a full sleep sofa in the living room, which makes it available for a max of 5 guests. A fully equipped kitchen with full size appliances and a portable stand-up gas grill. Max occupancy of 5. Sorry No Pets. and $125.00 Security Deposit Renters are REQUIRED to clean when they leave. A Sample Rental agreement will be sent to you for signature before you decide and you're confirmed. 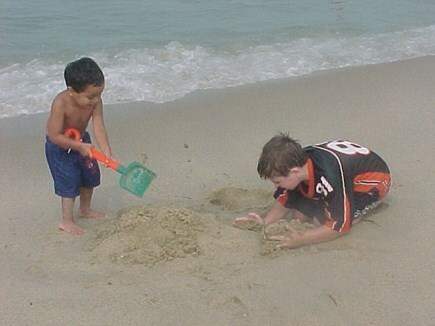 Come enjoy relaxation and fun in the sun at the very tip of Cape Cod, Massachusetts! Additional pricing info: $125 refundable cleaning up, key return, and security deposit. Refundable per rental agreement, State and local taxes of 14.45% will apply. Hello My name is Mike. I have owned the Condo since 1986 and have had hundreds of guests stay. I have a couple of guests that return every year and many that are repeat guests. 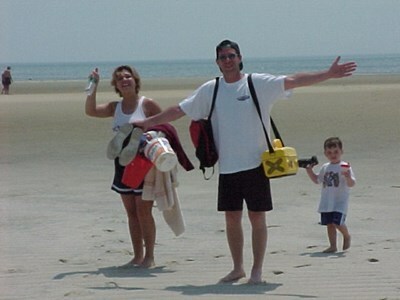 I even had 2 different couples who stayed in our condo and were married on our beach. Every year something exciting happens. One year a baby seal was stranded right on our beach, and another year a 7ft leatherback tortoise was washed up there. Owning a home on the cape is like owning one at home. Every year we must do something. Last year it was new doors and windows. Still we try to keep the rent down as much as we can. The greatest asset is its proximity to our own beach. 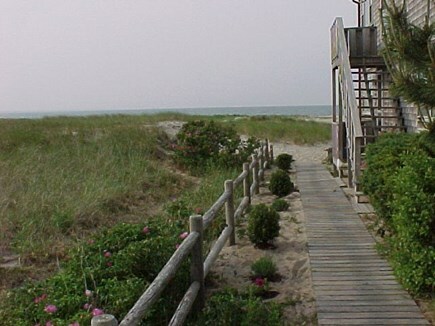 We are located at Beach Point which, outside of the public beaches, is one of the few spots in Provincetown with a wide sandy beach. Low tide is a fun time as sand bars appear and people walk out on the flat sandy beach looking for hermit crabs, seashells and beach stones. 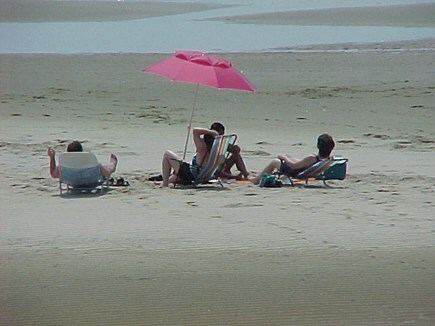 From our beach you can see distant sailing ships, all sorts of birds and the Provincetown Monument. 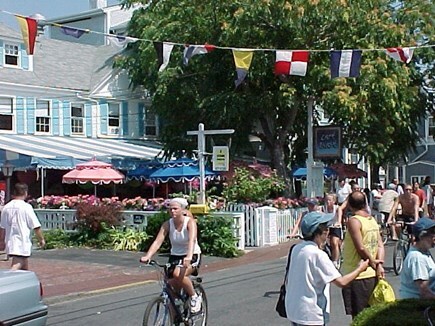 2 miles away (you can walk,bike,take your car or a shuttle bus) is Provincetown center, a bustling tourist spot with art galleries, trinket shops, leather clothing, jewelers, street musicians and tons of incredible restaurants. The shuttle bus which stops in front of our condo's driveway will take you into town or to the 2 National Seashore beaches in Provincetown: Race Point Beach right on the Atlantic or Herring Cove Beach right at the tip.